To create customized elevation or forms with images of your own products for better promotion, you can rely on Edraw Max. 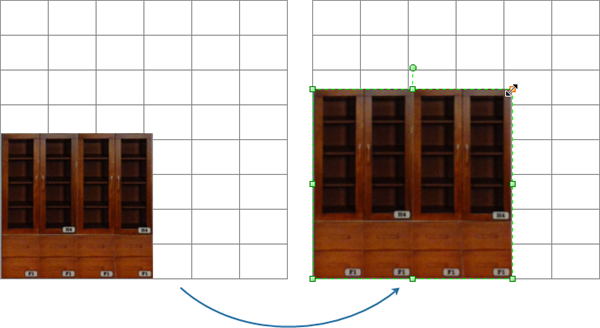 Create customized elevation layout of furniture easily from now on. Load your companies' customized furniture symbols into Edraw and save them as a library which can be reused again and again. You can create a new library with any customized image in Edraw. And the newly created library can be saved ever after for future usage. Follow these steps below. Use a screen capture tool to capture images you need as symbols for long-term use. Save it in a file. After you open a blank canvas, on Symbols menu, click Create Library From Images... and then choose the file you just saved. Press OK. All images in that file will be inserted into Edraw Max and presented on the library pane. Drag and drop shapes to the canvas. Use the green handles to resize or rotate them. Right click on the title and choose Save Library to save it. For more details, read the article: Create a Library from Local Images. Some predefined symbols are very helpful to start the work. The designer can open the dimensioning symbols, Callouts symbols and Titles symbols in the General category. Open the Form in the Business category. 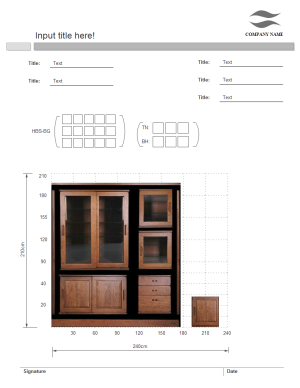 A furniture sales elevation template is ready to use for your own designs. The furniture is from the Apina. To view the details, it's better to download the software then follow the suggestion in the article. As required by a customer, Edraw team has offered the solutions to create a customized elevation layout as shown by the following picture. Add a table from Insert Menu. Resize it by dragging the green points. To increase the height of a row, hove the cursor over its border and the cursor turns into a two-way arrow. Drag the upper border up or the lower border down to increase height. You can see its height in Cell Size under Table menu. Drag the elevation symbol you just inserted to the table. Resize it through the green selection handles. 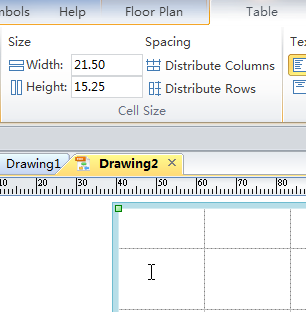 Use the Rectangle Tool (in the Basic Tools group on Home menu) to draw small box one by one. The Size tool can help you turn a group of shapes into the same size at a time. The Distribute Tool adjusts the gap between shapes. To insert a parenthesis, open the Mathematical Symbol library in Science category. The next step is about labeling the axis. Edraw can help you do it extremely easily. By adding text box, you can add description anywhere you like. Just Press Ctrl + 2, hold down the mouse button and draw a text box on the target area. Return select status by pressing Ctrl + 1. Edraw offers very easy solutions for accurate measurement. There is one ruler on the upper border and another one one the left border of the canvas. Right click on the blank area, you can choose to show gridlines. One more method is to use guidelines (blue dashed lines). Rest the cursor over the upper ruler; it turns into a two-headed arrow. Drag it down and one guideline appears. Do it once again and another guideline shows. 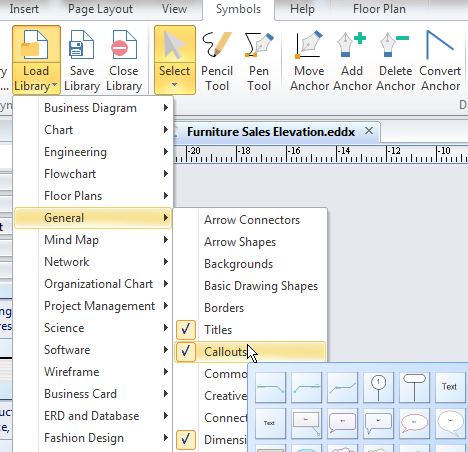 Accompanied with the ruler, you can control the height of shapes or table cells easily. When you are dragging a shape to the canvas, the guideline will show red points to indicate that the shape is already in the right position.